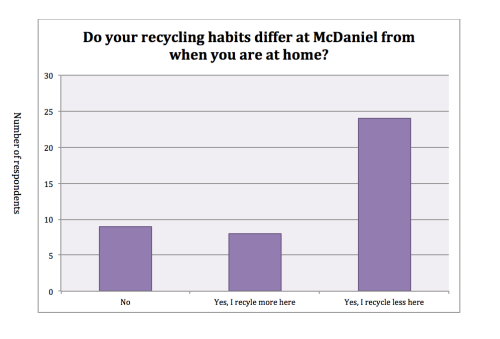 McDaniel, like many other institutions in the United States, has begun to recycle more, but there is still a lot of progress to be made. Due to recent development by Green Life, a campus organization affiliated with the environmental studies department, there is now an abundance of recycling bins around campus. 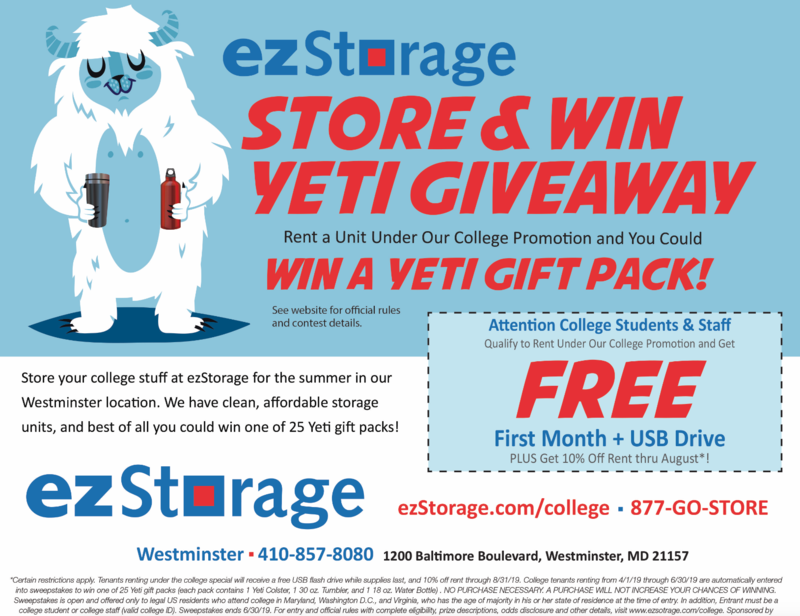 According to Alan Snyder, a co-founder of the organization, there are now 270 recycling containers on campus. Snyder also says that McDaniel is learning from examples set by other institutions. 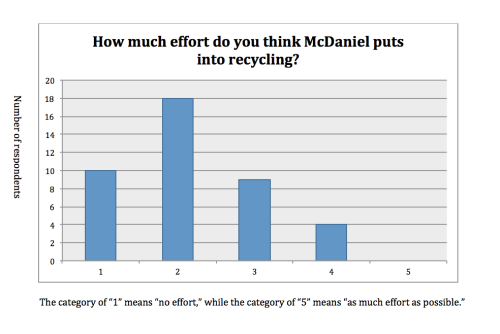 For example, data from the physical plants of The Johns Hopkins University and Gettysburg College are being used to help McDaniel improve its recycling output. 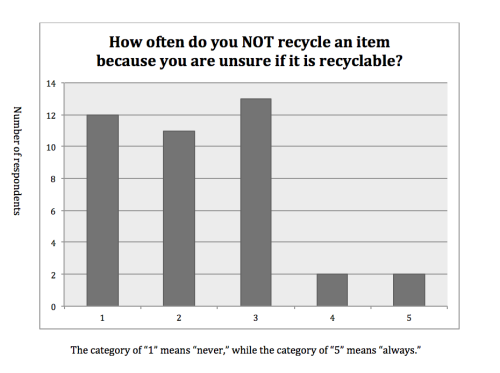 Becker has noticed an overall increase in recycling since she arrived at McDaniel in 2010, saying that “we didn’t even have recycling bins outside until last summer.” Becker added that the increased presence of bins has led to a rise in recycling by students. 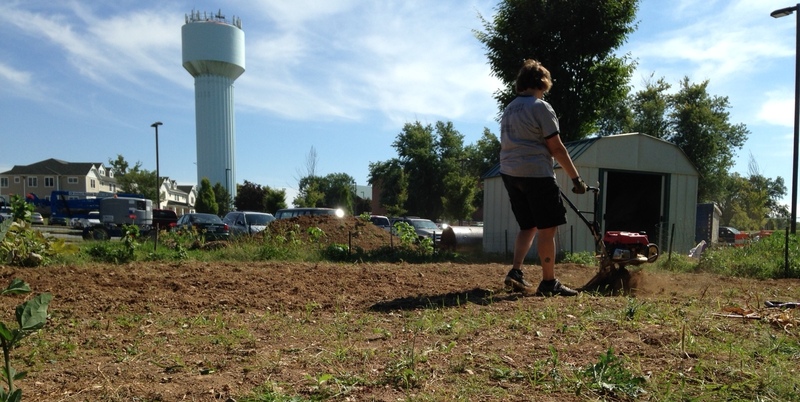 There are, however, some problems that are hindering McDaniel’s efforts to go green. Additionally, Snyder states that “the recycling yield isn’t reaching [Green Life’s] expectation of 100 percent” and that people’s behavior is a factor that needs to be considered. One potential reason for this behavior could have to do with a lack of confidence that recyclables end up anywhere different than garbage. A lot of people are critical about housekeeping’s effectiveness. 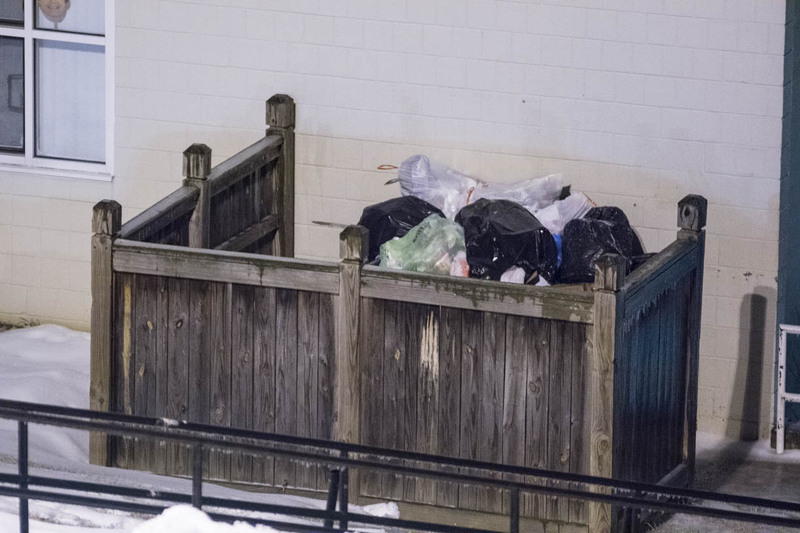 “If you come across a recycling bin that only has two Coke cans in it, it’s tempting, I think, for the housekeeping staff to just throw those two Coke cans in the trash,” says Becker, who, along with several students, claims to have seen this in action. 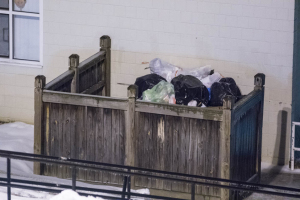 At the same time, Snyder is very impressed with the custodial staff’s efforts to adhere to the new policies of recycling and feels that they deserve recognition for their aid in the process. 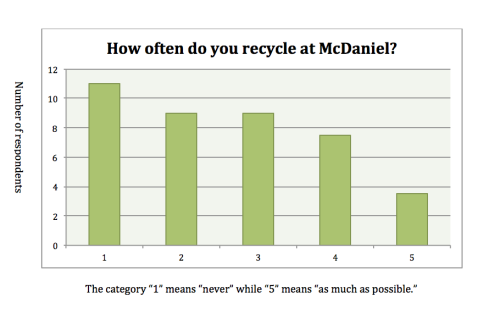 McDaniel students are not particularly confident in the institution and are generally not doing much recycling themselves. When asked about the handling of recyclables, a housekeeper stated that recycling bags are simply taken outside, where someone else takes them. 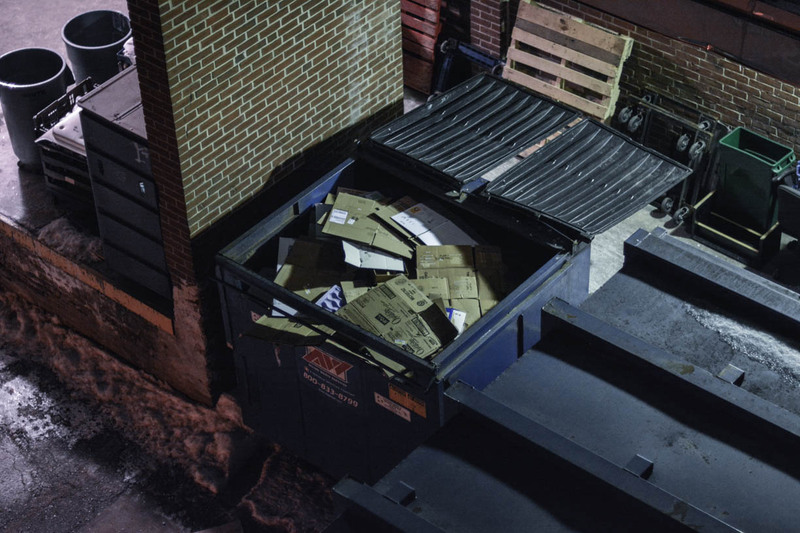 A majority of the time, they are then taken to a dumpster specifically for recyclables, but there are also instances of green recycling bags and cardboard recyclables being seen thrown into dumpsters along with black trash bags. 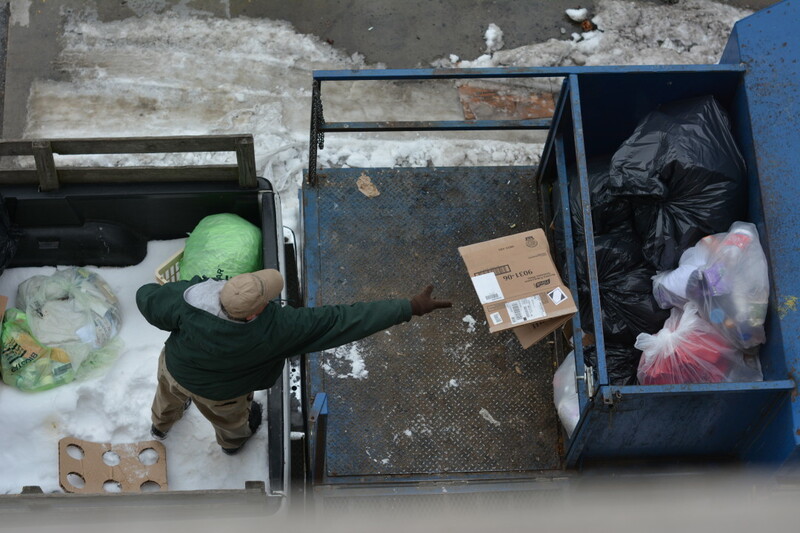 According to Marty Weeks, Director of Housekeeping, the recycling bags are taken to a separate dumpster, where they sit until being transported to recycling plants. 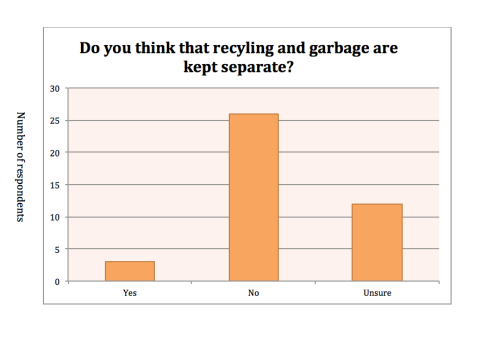 There are, however, some problems with this since recycling containers on campus are at times treated as garbage cans. This creates a larger problem because public services will not accept bags for recycling with non-recyclable items mixed in. According to the EPA, Americans discard 28 million bottles and jars and 25 trillion Styrofoam cups yearly. Additionally, a 2012 Municipal Waste Report by the EPA states that 251 million tons of waste were produced in America in 2012, but only 34 percent of non-durable goods (products used for less than three years) and 18 percent of durable goods (used for more than three years) were recycled.